Jaime Bonet Bonet was born in Alqueria Blanca (Mallorca-Spain) of Jaime and Mary, working parents with deep and simple faith. The catechesis his father used to give to young and old in the neighboring villages, together with the strong faith and practical love of his mother, were the environment where the calling of Jaime was gradually forged. This atmosphere of faith was enriched by the education received in the early years of primary school from Franciscan nuns in Alqueria; and from the Christian Brothers during his high school years. "If you exist make me happy"
​At age 14, Jaime discovered his vocation through his first experience of dialogue with God. It was a conversation with the crucified Christ and Jesus in the Eucharist. There, he experienced the joy which God gives to those who listen to him; and at the same time he felt God asking him: "Give me to all people, take my love to others." 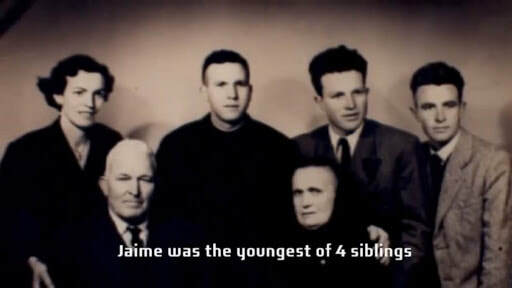 With the desire to continue deepening and knowing God and the urge to share it with the poorest of the world, the young Jaime entered the Diocesan Seminary of Mallorca that same year (1940). Two years after his admission into the Seminary, Jaime was received at “Colegio Mayor de Nuestra Señora de la Sapiencia.” He remained there until his priestly ordination and was elected as Rector of the College in the following years. During these years he organized, among his colleagues, a School or "Academy” for preaching with the objective of offering a solid preparation for the ministry of the Word. 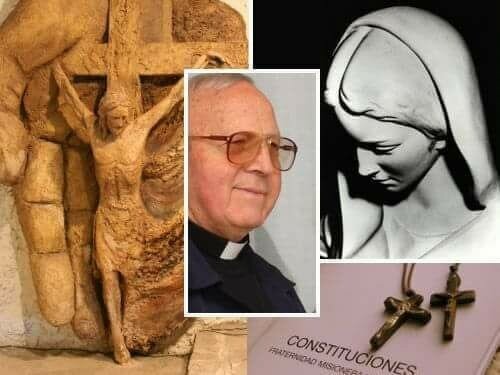 In addition to these activities, there was his growing involvement in the “Cursillos de Cristiandad”, founded in the diocese of Palma de Mallorca, and in the apostolic work of Catholic Action. After his ordination as a priest in Barcelona on May 31, 1952, Bishop Juan Hervas appointed him parish priest at Mancor del Valle (a small village in Mallorca) and director of the Sanctuary of Saint Lucia, headquarters of the Cursillos Movement. 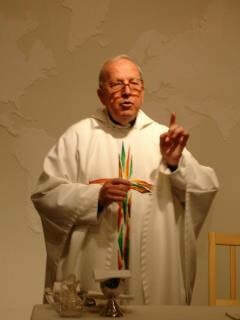 After the Cursillos were displaced outside Mallorca, Father Jaime continued his preaching throughout the island. Among his activities, preaching Spiritual Exercises to the religious novitiates of the Diocese and to theologians of the Diocesan Seminary was of particular importance. In 1960 Bishop Jesús Enciso Viana assigned him to the Diocesan Council of Catholic Action, with the particular task of encouraging its evangelical and apostolic spirit. The preaching of this young priest was creating an apostolic dynamism on the entire island. The growth of groups that wanted to prepare for preaching led Jaime to set up apostolic schools or schools of evangelization with young people. As they were being trained, they started to became a driving force in many other parishes. The Verbum Dei becomes flesh in this environment of growing apostolic schools of evangelization, and at the insistent request and desire of Bishop Enciso Viana, Verbum Dei was born on 17 January 1963. The Bishop offered his full support and esteem since its beginnings. 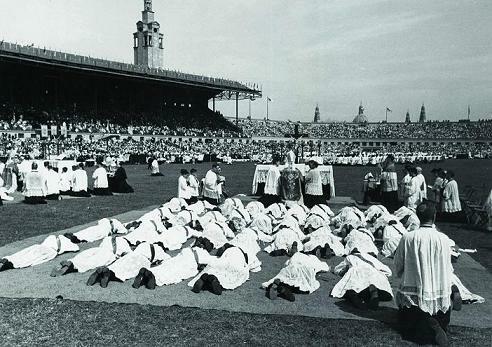 This esteem was subsequently ratified by Bishop Rafael Alvarez Lara, Viana’s successor, who hosted and effectively promoted the growth of the fledgling Fraternity. From the moment Verbum Dei was founded, Jaime was excused of parish work by the Bishop. He devoted himself full time to preaching Spiritual Exercises and Encounters. He also continued monitoring and guiding the nascent Verbum Dei Institute. Later on, Jaime centered his activity and apostolic dedication to the guidance of the Verbum Dei Fraternity, guiding new foundations in the five continents and the maturation of the charism in all its members. For Jaime, preaching “month retreats”, together with his daily preaching throughout the Verbum Dei centers around the world, have been a privileged means in the configuration of the charism. ​His spirituality and lifestyle have been identified, particularly, to the life and style of St. Paul; especially in his tireless dedication to preaching and founding communities. At the same time Jaime has been influenced by great mystics and masters of prayer as Saint Teresa of Avila, St. John of the Cross, St. Francis of Assisi, Saint Ignatius of Loyola, St. Therese of Lisieux and Charles de Foucault, among others.